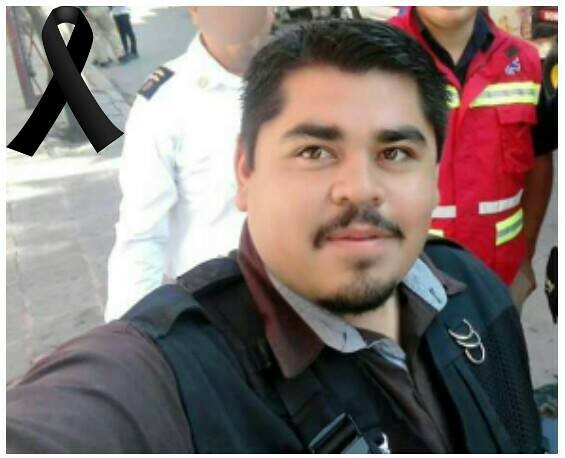 Following the October murder of Mexican photojournalist Edgar Esqueda in San Luis Potosí, Mexico, a cellphone video sent to a former police officer spread on the internet. It showed Esqueda, bound and on his knees, offering the names of crime reporters at newspapers across the state. In response, San Luis Potosí Gov. Juan Manuel Carreras ordered immediate protection measures—a police patrol car for every reporter named in the video. But, journalists at one of the local newspapers, El Sol de San Luis, were more worried about the governor’s protection measures than the video. “Everyone in the newsroom said, ‘We don’t trust the police. We don’t want those patrol cars here,’” said Martha Ramos, national editorial coordinator of the Organización Editorial Mexicana (OEM), which owns El Sol de San Luis. The case of El Sol de San Luis is another example of the failure of government-led efforts to protect journalists in Mexico. As violence against journalists in the country continues, many reporters remain distrustful and skeptical of protection measures that are seen as ineffective and problematic. In large part, this is because corruption among local police and government officials is rampant across the country. One reporter even considered resigning from El Sol de San Luis after the paper received police protection—not because he was named in the video, but because of the perceived danger from rumored corrupt police officers. A recent survey and study by the organization Causa en Común, 72 percent of police in the state of San Luis Potosí considered that there was corruption in their department and that it occurs to a greater extent among senior members. In terms of trust, 81.2 percent consider than society is distrustful of the police and 84.7 percent said society discriminates against the police. According to the poll, police also reported poor working conditions, including having to pay for supplies related to their work and witnessing discrimination and abuse in the workplace. Insecurity in Mexico is felt at the local level. Many communities are at the mercy of cartels that control local institutions through bribery, extortion and violence. When police and government officials collude with organized crime, the job of local journalists to investigate and expose corruption becomes a deadly pursuit. Despite the existence of a federal mechanism to protect human rights defenders and journalists in the country, as well as a special prosecutor that investigates crimes against freedom of expression, killings of journalists continue to plague Mexico. A total of ten journalists have been killed in Mexico in 2017. Additionally, there were 276 attacks on the press in the first half of the year, representing a 23 percent increase from the previous year, according to freedom of expression organization Article 19 Mexico. Of the 276 attacks, a little more than half were committed by public officials, the organization added. 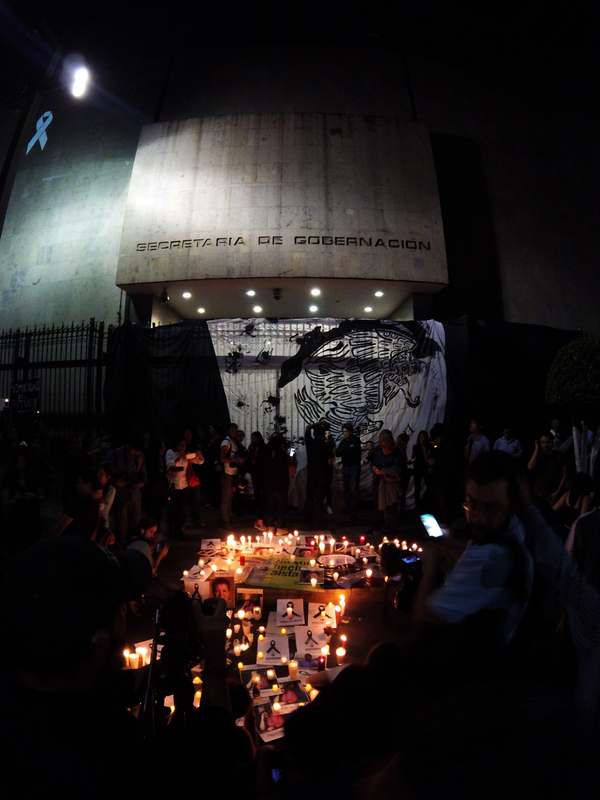 Since 2000, 130 journalists have been killed in Mexico, 38 of them since President Enrique Peña Nieto took office. And crimes against journalist too often go unpunished. Only ten percent of crimes committed against journalists receive a conviction, according to the National Human Rights Commission. Although corruption among government officials is rampant, many judges and prosecutors dismiss journalists as equal participants in a corrupt system. One journalist killed in Veracruz earlier this year was declared corrupt by the governor’s office within a half hour of her murder, according to Ramos. Still, corruption does exist among Mexican journalists. Reporters working in dangerous situations for small salaries often have little protection from their newsrooms, and are the most at-risk of taking bribes. Often, someone offering money will approach a journalist working in the field, urging them to avoid reporting on cartel violence. In the cellphone video released in October, Esqueda named the journalists in the video as cartel members. But, because Esqueda made those claims while being tortured, the veracity of those accusations are difficult to determine, according to Article 19. While the Mexican government uses a number of methods to protect journalists, there are no one-size-fits-all solutions. Every situation is different, and it’s often hard to anticipate when or where a journalist will be in danger. High-profile journalists, as well as freelancers and reporters at smaller newspapers, are most at-risk, according to Ramos. “You have all these instruments to react, but nothing seems to work because it gets more complicated all the time,” Ramos explained. But sometimes, prevention works better. Not covering one cartel exclusively, avoiding investigations without sufficient editorial support, and being careful about what you publish can help keep reporters out of trouble. But, for journalists, whose job it is to spread information and expose injustice, staying silent isn’t an option. *Scott Squires is a master's student at the University of Texas at Austin where he is pursuing a dual degree in Journalism and Global Policy Studies. He will graduate in May 2018.